Apple has released a software update that fixes a bug in its Group FaceTime video-calling feature that had enabled users to eavesdrop on recipients before they answered a call. The tech giant apologised for the bug last week, confirming it would shortly roll out an update to its iOS operating system that would address the issue. 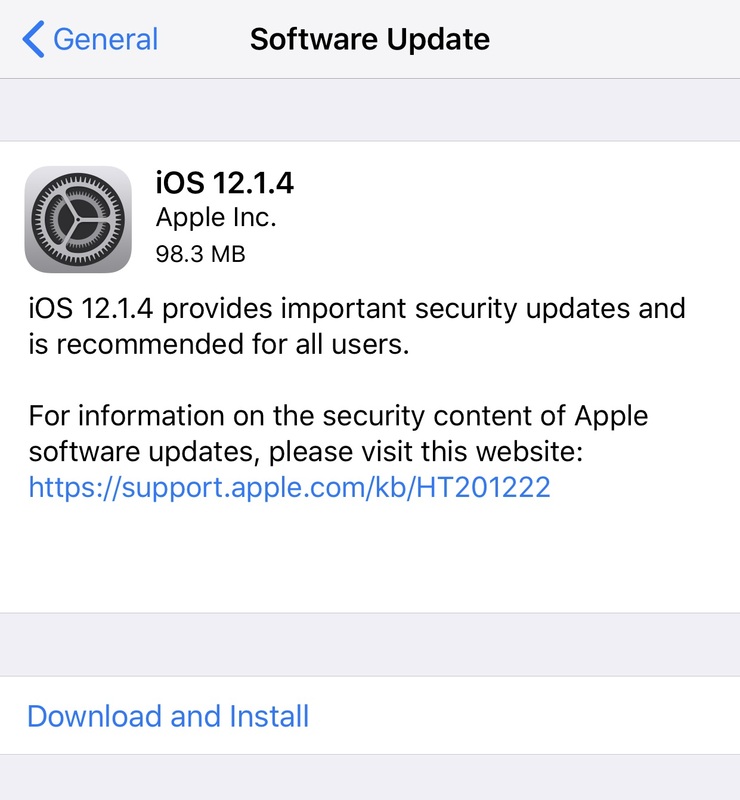 A new version of the software, iOS 12.1.4, is now being pushed out to iPhone and iPad users and comes with the message that it “provides important security updates and is recommended for all users”. Apple disabled its Group FaceTime service following the discovery of the bug, however the company’s system status website confirms the feature has been reactivated for those who update their software. The issue had been discovered by a 14-year-old boy from Arizona, whose mother Michele Thompson then reported it to Apple. At the time, Apple thanked the Thompson family for reporting the issue and said its engineering team had immediately begun working on resolving the issue. “Today’s software update fixes the security bug in Group FaceTime. We again apologise to our customers and we thank them for their patience,” Apple said in a statement confirming the update. “In addition to addressing the bug that was reported, our team conducted a thorough security audit of the FaceTime service and made additional updates to both the FaceTime app and server to improve security. The company also confirmed it would compensate the Thompson family for reporting the bug, and said it would make an additional gift towards the education of Grant Thompson, the teenager who discovered it. Users wanting to update their iOS software can do so by going to the Settings app on their Apple device, selecting the General and then Software Update option.